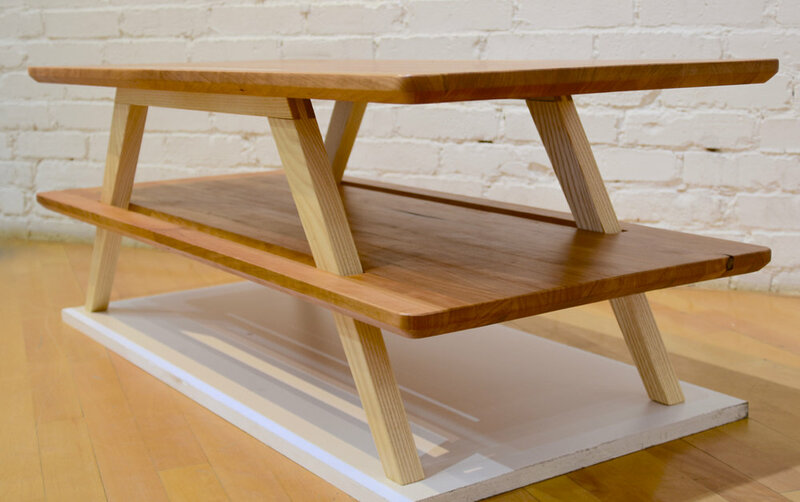 The Slot coffee table was designed with board games and piles of books in mind. 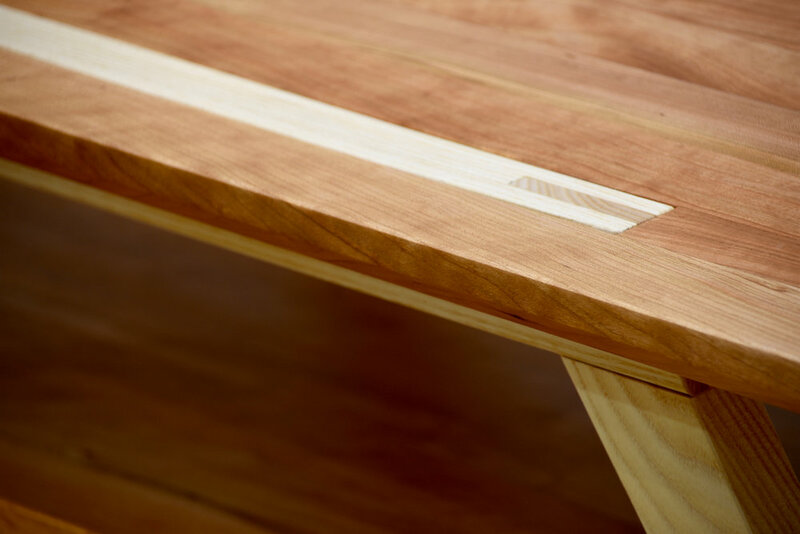 The open slot in the lower shelf is reflected in the maple stripe on the upper shelf. 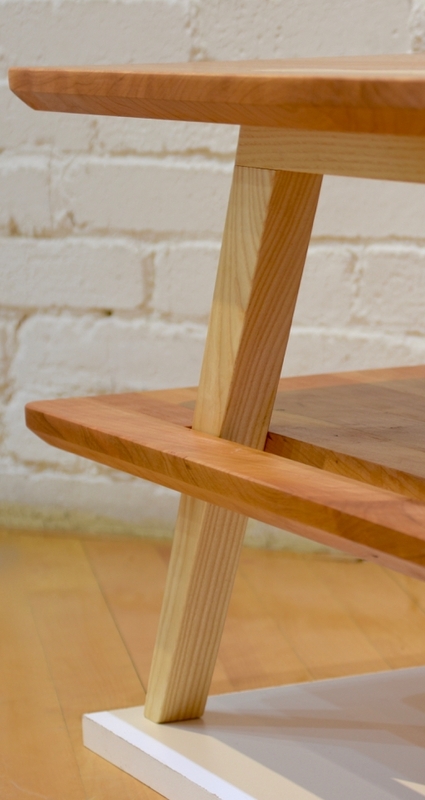 The shelves are made from cherry and the legs are made from maple. The dimensions of the Slot table are 44"w x 24"d x 16"h. This table can be modified to a custom size and can be made in any combination of species.